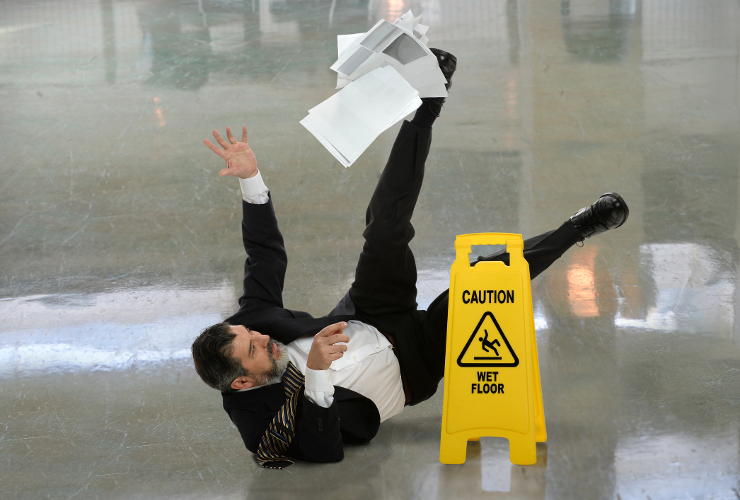 Eliminate the risk of wet slippery floors with our custom made anti slip treatments and coatings. Our anti slip products will significantly increase the slip resistance of your floors in wet conditions, which will meet or exceed the HSE minimum requirements 36+. Eliminate the risk of slipping in the work place. Suitable for stone surfaces including Ceramic, Quarry, terrazzo, Granite, Marble, Concrete, Slate, porcelain, etc. We can come out to your site and test your floor for its slip resistance using a Pendulum tester which is the standard method of testing for the HSE. We will provide you with a full report showing which flooring areas are at risk of causing slips.